Brand new apartment. Very clean and in good shape. Really clean. Comfortable. Everything you need in the kitchen and the balcony is huge. Barbecue and outdoor shower. Big table and comfortable chairs. It also got the sun the whole day, no shade. It was clean and good condition. Our host Omar was very nice host. When we need help, we know he tried to do his best. It was a good place to stay. Kitchen utilites are good and variable. There are microwave, pans, pot etc. Everything was just perfect! Apartment is new, you have everything you need for life here. WiFi works well, kitchen has all equipment for cooking, the bed is very large and comfort, modern and stylish furniture. Parking places are easy to find. The city is very quiet but there are lots places of interest: coffees, shops, bars and so on in the walking distance. Maspalomas beach is 10 minutes to drive, amadores beach is about 20 minutes to drive. Everything was perfect! 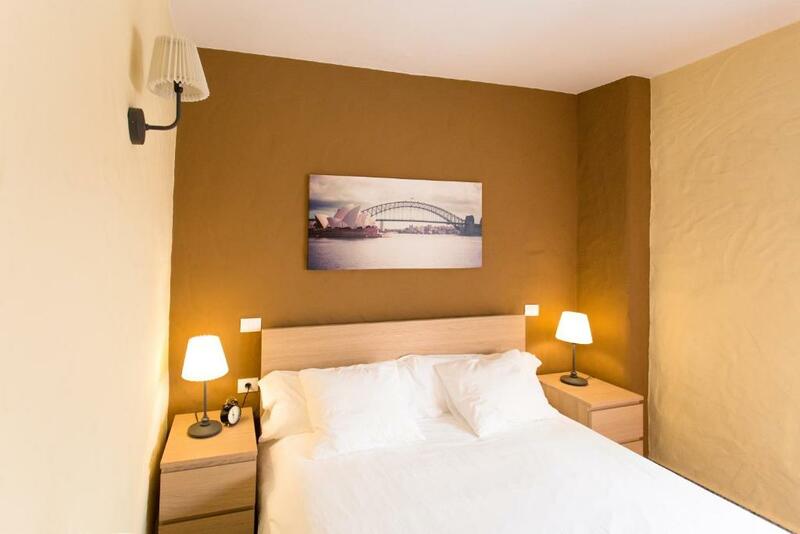 Very good location, almost 15 minutes by bus from the airport. 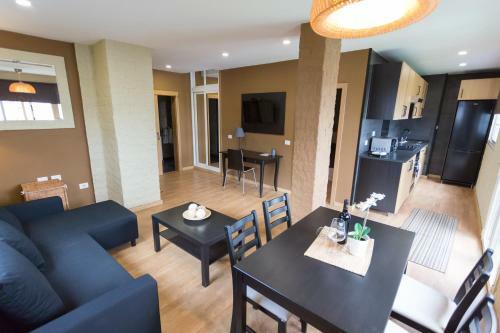 With public transport you can easily go to Maspalomas or Las Palmas, there are many buses and the apartment is very close to the bus stops. 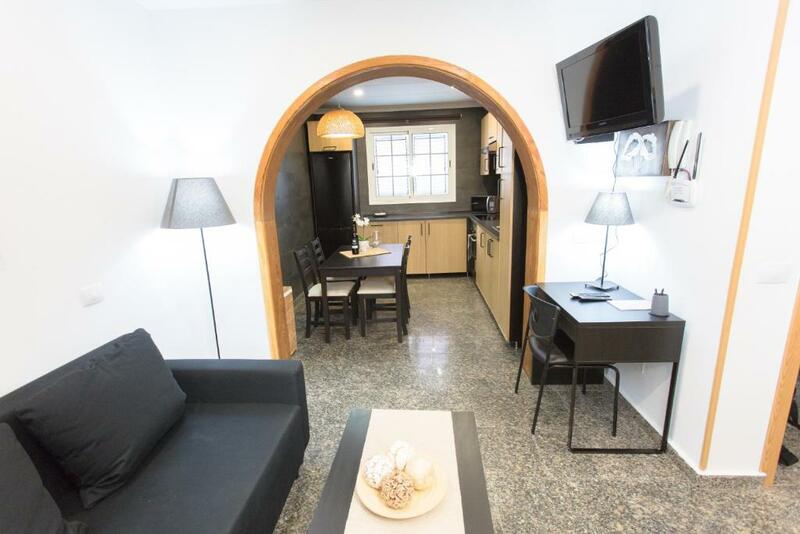 Our host was very kind and helpful and he speaks English very well what is not so obvious in Gran Canaria :) The apartment was really great, very clean and brand new. In the kitchen you have everything what you need: pots, cutlery, oven, microwave, fridge, washing mashine ect. This apartment was fully equipped and you could feel that is new and tidy, furnished with IKEA stuff. For this price it was amazing occasion. This place was really comfortable, everything looked just like in the photos. On welcome bottle of wine was waiting for us :) I honestly recommend this place for stay in Gran Canaria. Very quiet neighborhood, a lot of shops, restaurants around. Apartment is a brand new and all equipment were brand new. We got some wine on our arrival. Free street parking and all the time even in the evening you can easi,y find free space close to the apartment. Good size apartment for the 3 of us. Liked having bedding and towels provided and extra touches like washing up liquid and toilet paper eased being in self catering. Beds were comfy .. even the sofa bed and all a decent size. Liked 3 adult friends having their own spaces for sleeping and chilling if needed. Loved having a full size fridge and freezer. Everything still looking sleek and new. Loved how friendly and helpful both Cristina and Amar are with quick responses via WhatsApp. Thank you. It had a clean and modern look and it was set up like a hotel. Wine detail. Lock in a great price for Luxury Apartament Faycan – rated 8.6 by recent guests! One of our top picks in Vecindario.Located in Vecindario, Luxury Apartament Faycan provides accommodations with a seating area, a flat-screen TV and a kitchen. Complimentary WiFi is featured throughout the property. All units are equipped with a oven, microwave, a coffee machine, a toaster and kettle. 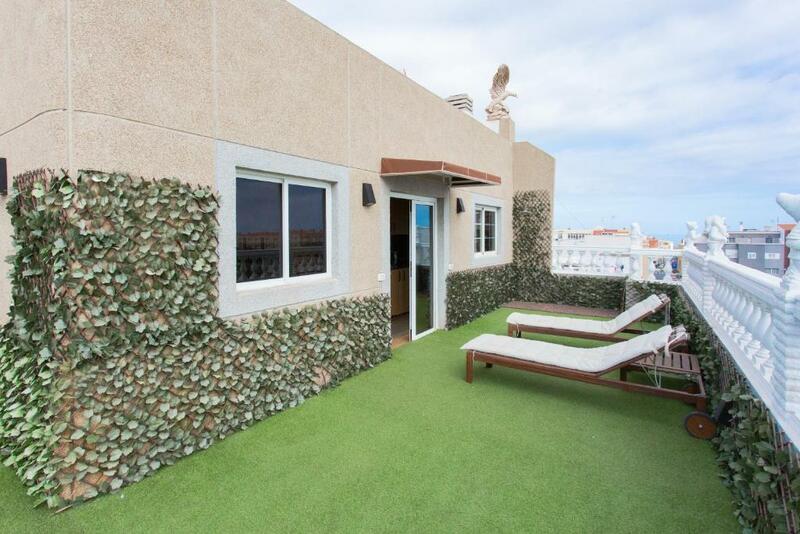 Playa del Ingles is 9.9 mi from the apartment, while Maspalomas is 11 mi from the property. The nearest airport is Gran Canaria Airport, 7.5 mi from the property. 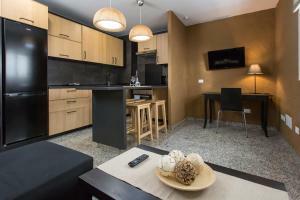 When would you like to stay at Luxury Apartament Faycan? 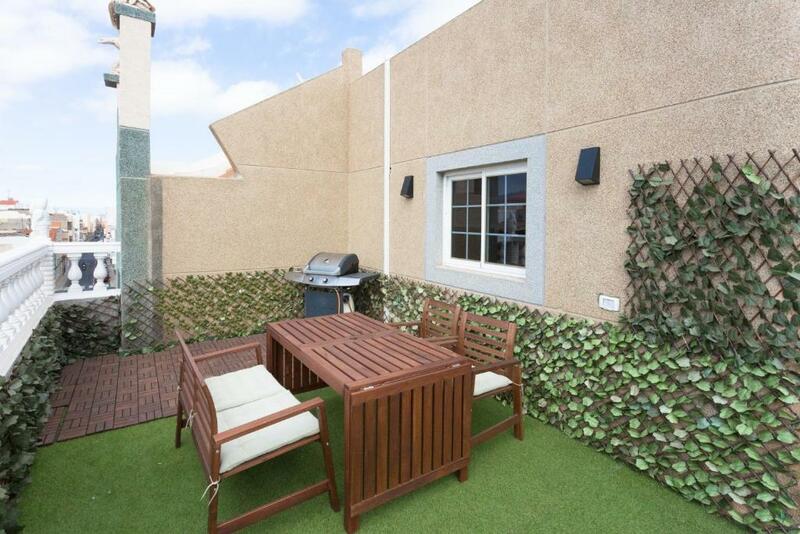 This apartment features a terrace and barbecue facilities. It has a seating area, kitchenware and oven. Agradable y confortable apartamentos en vecindario, en zona muy tranquila, a escasos minutos a pie del CC Atlantico. Equipados, con todos los electrodomesticos, tostador, calentador eléctrico, nevera microondas, cafetera, horno, vitrocerámica, calderos, sartenes, y todos los utensilios de cocina necesarios para pasar unos días como en casa, habitación de matrimonio con cama de 160*200, totalmente vestida, con sabanas y almohadas, cuarto de baño con ducha de hidromasaje, secador de pelo, miniaturas de gel, champú y body milk y toallas. El salón esta totalmente equipado, con TV de pantalla plana, un gran sofá cama del que disfrutar para relajarte después de un día repleto de diversión. 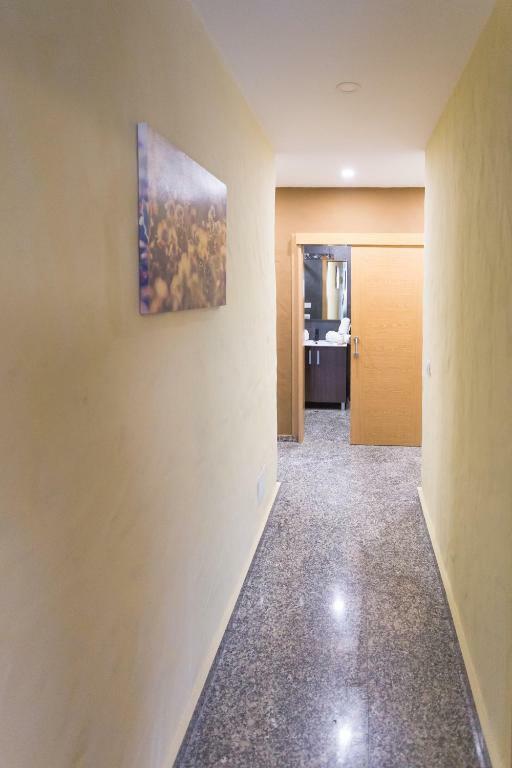 Apartamentos muy bien comunicados, con variedad de servicios y actividades, como windsurf, surf, buceo, senderismo, zona comercial, etc. Hay wifi en todo el establecimiento. Al alojamiento se accede desde portal, con código de acceso a éste. F SUPERIOR: Apartamento con solarium, hamacas, barbacoa y aire acondicionado. B : apartamento de un dormitorio, totalmente equipado. C : apartamento de un dormitorio, con terraza interior. E: apartamento de un dormitorio. A: apartamento de dos habitaciones. Soy una persona amable, a la que le encanta ser anfitriona, estaré encantada de atenderte para lo que necesites. Vecindario, es una ciudad situada en el sureste de la isla de Gran Canaria. El aeropuerto y el centro de Maspalomas se encuentran a escasos 15 km. Vecindario es una ciudad en movimiento, posee una avenida con una longitud de 4 km llamada avenida de canarias, una zona comercial llena de establecimientos y bares donde disfrutar de un agradable paseo. Vecindario, se encuentra situado muy cerca de la playa de pozo de izquierdo donde podrá realizar varios deportes acuáticos, principalmente windsurf, lugar donde se celebran numerosos campeonatos a nivel mundial. En Vecindario así como playa de Arinaga, pueblo muy cercano a dicha ciudad hay una variedad de centros que les ofrecerán una variada carta de actividades para deportes acuaticos, así como, windsurf, surf, buceo o excursiones. También hay distintos centros que ofrecen otras alternativas como pueden ser rutas de senderismo. House Rules Luxury Apartament Faycan takes special requests – add in the next step! There were two big cockroaches and there was no terrace. Our place was on ground floor. A bit crowded narrow streets full by cars, but it it always possible to park in near location. Nice terrace with barbecue! Terrace, I stayed in superior room. Didn’t like having only one window in the property that we could get fresh air through. Didn’t like not having a proper outdoor useable space (there’s a tiny bistro table in a courtyard with a plastic roof but caged in all around by the high walls). Didn’t like not having a welcome pack with things like how to get more than 1 min of hot water in the shower, what to do with rubbish, where is good to eat etc. The apartment was really nice, but it wasn't the same as the photos. Noisy street.